This podcast contains a double dose of baseball heaven. First Ed, Farley and Mark start the podcast in the Gateway to the West, St. Louis. They explore the great history of the St. Louis Cardinals and their wonderful baseball savey fans. 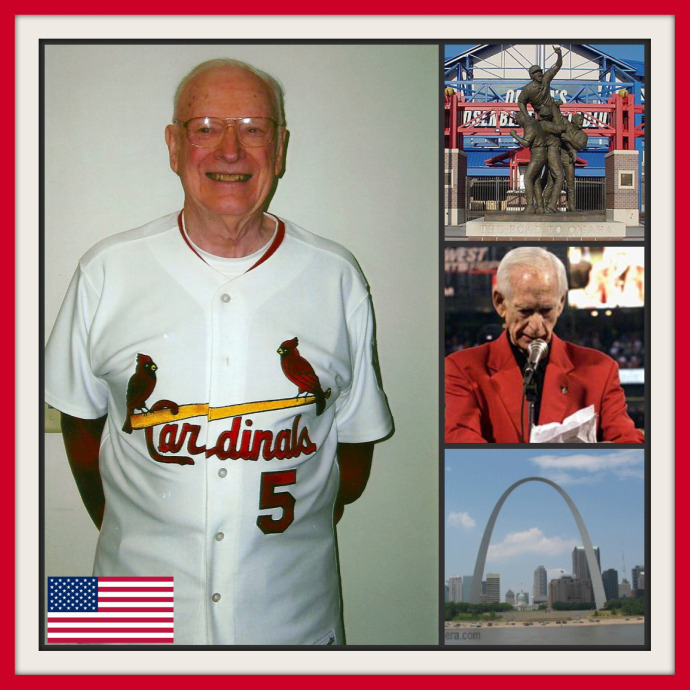 Ed interviews 88 year old, Cardinal fan, Ed Marcou. Marcou has followed and loved his mighty Cardinals since 1931. Ed then interviews, Dan Morrissey, Vice-President of Marketing & Events for the College World Series of Omaha, Inc. The College World Series starts on June 19th. The PhD committee then remembers Cardinal broadcaster, Jack Buck as they listen to Buck’s powerful 9/11 poem. Buck read this poem to a sold out Busch Stadium on September 17, 2001. The podcast concludes as Ed, Farley and Mark prepare to drive cross state to the City of Fountains and home to the 2012 All Star Game. Kansas City, here we come!!! One Comment on "St. Louis Cardinals"